This nature element set is jam packed floral and nature inspired graphics and shapes. 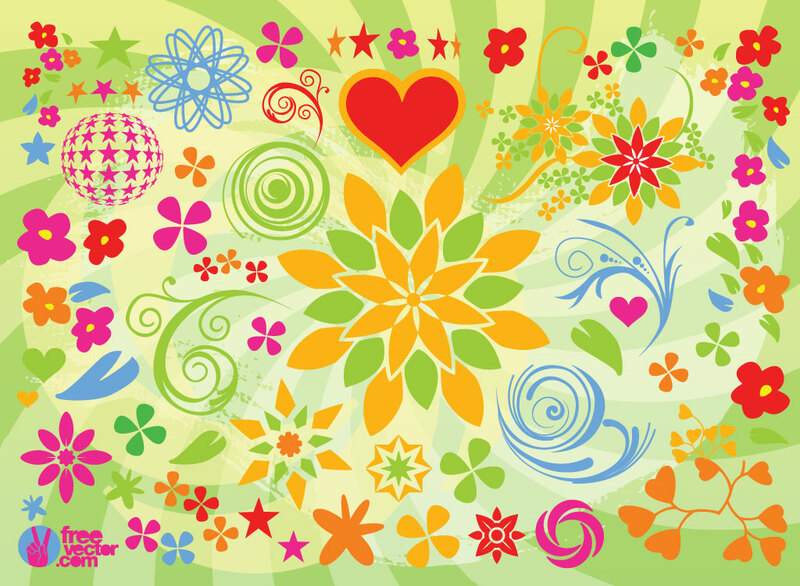 Beautiful colors and shapes make this clip art pack fun to look at as well as useful. Tags: Bloom, Flowers, Garden, Nature, Outdoor, Plants, Scrolls, Sky, Spring, Summer, Sun.